The Princess finished first grade a few weeks ago and Boo finished preschool just before that. 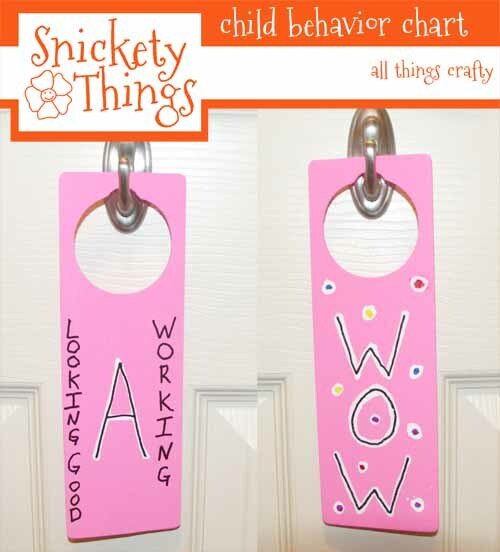 Looking at a long summer of sibling squabbles and a lot of drama I decided to do a little twist on the behavior reward system used in the first grade classroom. The teacher had a board with three ribbons hanging from it, one ribbon said "Working", one said "Standing Tall" (the school motto) and the last said "Wow". She had a clothes pin with each student's name and they were moved to the appropriate ribbon depending on the child's behavior. Standing Tall was the what the kid's stayed on most of the time, moving to working if they were not doing what they were supposed to be and to Wow if they were showing excellent behavior. They also got a small prize if they were on Wow at the end of the day. The Princess loved those ribbons and was always excited to tell me when she was on Wow. 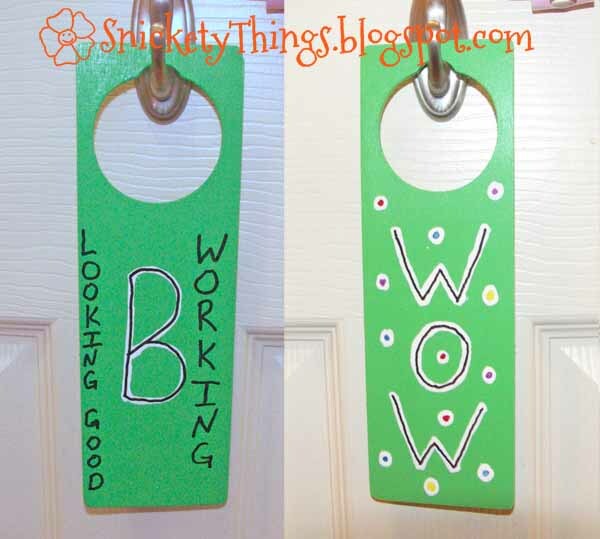 I started out with some plain wooden door hangers I bought at Walmart. I let both girls pick out a paint color. The Princess picked out pink and Boo picked green. I just used paint pens to write their initials and the words on them. I kept the term working, but changed "Standing Tall" to "Looking Good". On the back I wrote out Wow. Instead of just moving a clothes pin with their name, I decided to make the clothes pins represent what I expected from them. 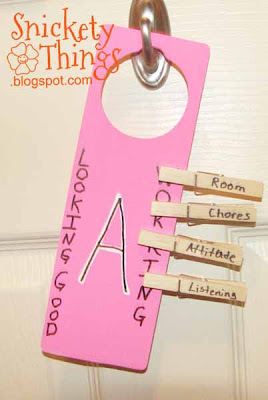 "Chores" is for the daily chores they are expected to do, "Room" is to encourage them to keep their rooms clean, "Attitude" is to help remind them when they are acting up and "Listening" is so I don't have to repeat myself to them constantly. I didn't do anything fancy to the clothespins, the words are just written on with a Sharpie. I have since made two more clothes pins, one for "Living room" to remind them to return their toys to their room and "Table" to remind them to put their dishes away after they eat. You can see how the clothes pins made the hanger tilt a lot. 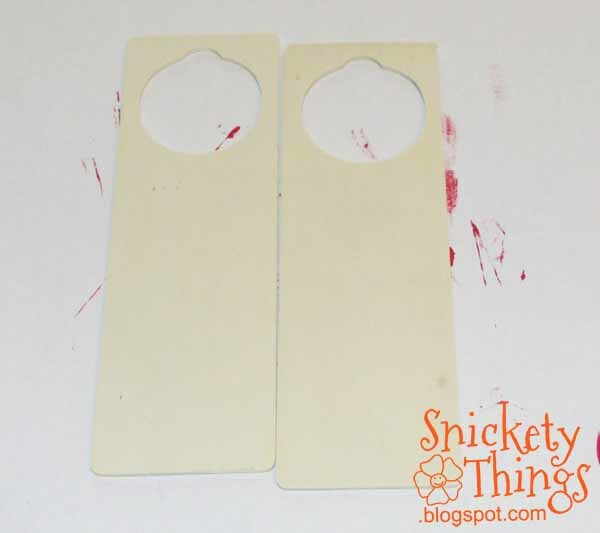 I decided to hang them on some 3M hooks on their door instead of allowing them to interfere with how the door operates when hung from the knob. To get a Wow, they have to have all of their clothes pins on Looking Good at bed time and they get something special. Sometimes they do, sometimes they don't. It is amazing that all it takes for me to tell them to move whichever clothes pin I say to get them to shift their attention to what needs to be done. It has made for days that are much more quiet. Everything is not perfect, but we are moving in the right direction. I didn't worry with trying to make these overly cute since I didn't know how long they will hold up over time. I will share with you the reward system we set up in another post. I love this! I think I'll use this idea in my classroom next year. Thanks for sharing! KIND OF COOL, I ONLY HAD ONE CHILD AND HE KNEW BY THE TONE OF MY VOICE, SO I GOT OFF EASY, BUT I WOULD HAVE LOVED THIS IDEA IF I HAD HAD MORE, I WILL DEFINITELY BE SHARING THIS WITH MY FRIENDS WHO HAVE THEIR GRANBABIES ON A REGULAR BASIS. Thank You! Usually tone of voice works, but I get tired of using it some days. I am your newest follower, I would love for you to check out my blog and follow me too! can't wait to see more posts. 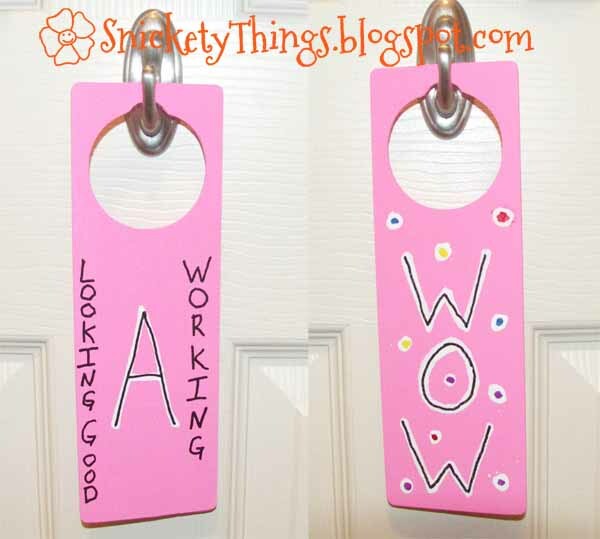 I saw this through the Sew Can Do link party - This is a great idea! Thank you for sharing. Thanks! I hope you stop by again! Thank you! Good luck with homeschooling. I think it takes a special person to do it. this is genius! I need something for my 11-year old (we are struggling w/ attitude and room)-I wonder if he's too old? Thanks, I have am fairly good results with it. What an excellent idea! I'll have to remember this for when my daughter gets older! 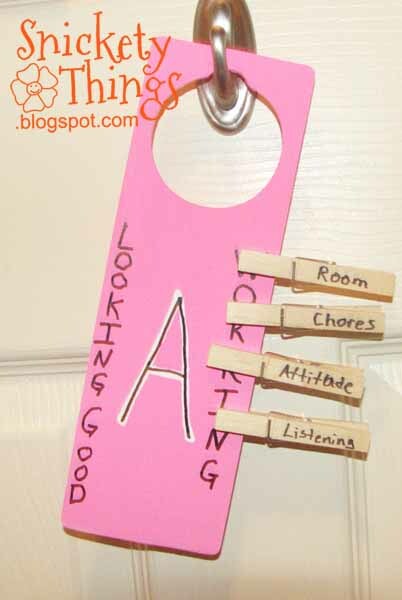 Fun idea teaching tool for kids. I think anything that helps us teach our little real life skills and attitudes is beneficial! We've been talking about starting to pay our son "commission" or allowance for chores, and this would be a great way to keep track. I may crib this idea and tweak it for those purposes. 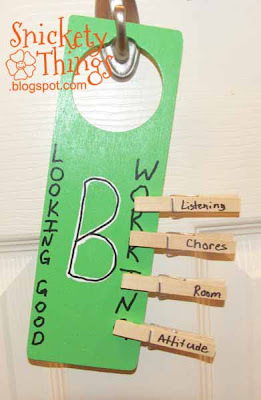 I can see assigning a dollar amount to each chore and writing it on the clothespin. At the end of the week, we add up the amounts and that's how much the boy earns. Thanks for the inspiration. My oldest would rather get paid than get an allowance. I may be tweaking this before it is over.